The Trump tax cut may not save the California economy that may already be in recession. Gov. 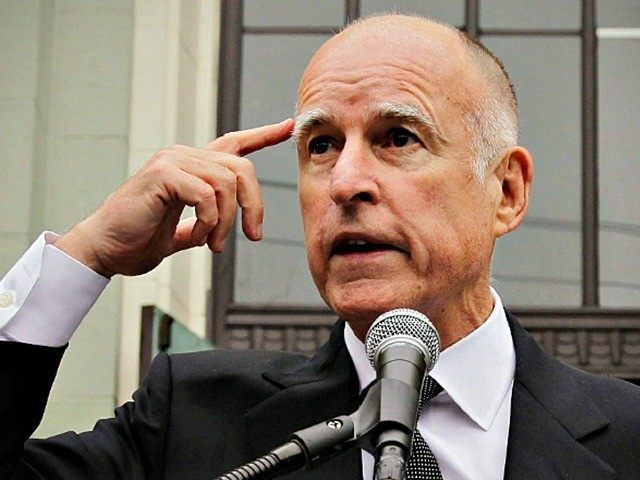 Jerry Brown warned Californians in May that the state’s eight-year economic expansion would not last forever and the next “moderate recession” could cause state revenues to fall by $55 billion over the next three years. To put the size of this challenge in perspective, the annual general government payroll and benefits budget is $10 billion. With the national economy up over 3 percent in the last two quarters, California’s Controller reported that state revenues for the first five months of the Fiscal Year through November were up by $1.15 billion, or about 2.9 percent over budget. But that good news was mostly offset by state spending being up by $.86 billion, or about 2 percent. Although California ranked first in the nation in 2016 with GDP growth at twice the national average, the U.S. Bureau of Economic Analysis report for state GDP growth in the first half of 2017 revealed that California dropped to the 35 th rank, as growth fell to about half the national average. The BEA also found that California’s second-quarter GDP fell in almost every category, but the worst sector was manufacturing that turned negative. An of the latest twelve-months demographic labor force data by the Political Calculation blog found that the total size of the state’s labor force peaked a year ago and has begun to decline. On a percentage basis, California’s employment to population ratio peaked at 62.1 percent in October 2016 and had fallen to 59.0 percent by October 2017. Breitbart News reported earlier this year that California exported 930,000 of mostly middle-class citizens between 2004 and 2015. About 85 percent of those out-migrating were in the working-class middle 20 percent and the next lower quintile of wage earners. Most of the citizens left to seek better economic opportunities in Arizona, Texas, Nevada, and Oregon, according to the Census Bureau. The Independent Institute reported this week that California due to the rising burden of regulatory overreach and the highest taxes in the nation has fallen to the 49 th out of the 50 U.S. states in economic freedom. The Political Calculation blog suggests the reason for California economy’s rapid deceleration, and might already be in recession, is the blowback from passing a statewide $15 minimum wage law that went into effect in January 2017 at $10.50, will hit $11 an hour on January 2018, and then jumps each year by $1 until it hits $15 an hour. Gov. Brown is currently working with his finance team and is expected to propose his 2018-2019 Fiscal Year Budget in the second week of January.